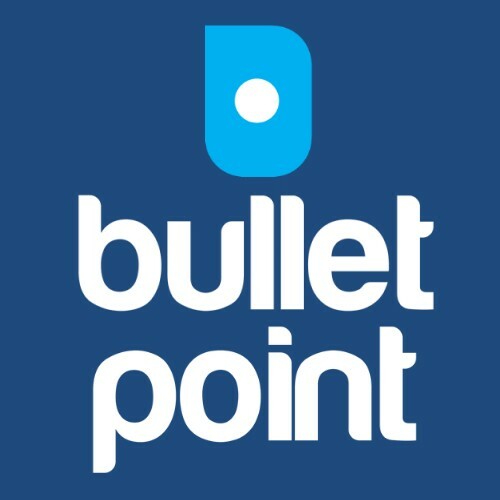 I started Bulletpoint as I love working with small business and helping them grow. I noticed how Government Grants could transform good businesses into great businesses. So I started to apply my management consulting experience into identifying how to successfully win grants for organisations. As you have probably discovered, there are hundreds of grants out there and it is virtually impossible to know where to start. You can spend forever looking for the perfect grant, only to find out that it closed the week before. I found this out too, so I started aggregating all the possible grants into one website. We aim to provide timely information on the latest grants available. We have helped many organisations across many industries secure grants. Our passion lies with working with growing and innovative businesses to secure grants for Research & Development, Capital Upgrades, Commercialisation and Export. Check out some of our case studies for an example of who we have helped in the past. How innovative is your product or service? How financially viable are you? What track record of success can you show? What do you need to grow your business further? How will a grant transform your business? Once we have a good idea about your business we can recommend the next steps. Read more about the process here. Prior to founding Bulletpoint, I worked for a boutique management consultancy where I led projects in business planning, economic analysis, financial modelling and strategic planning. My industry focus at this company was in the health, education and research sectors. Before this, I was employed for three years in the consulting division of a large accounting firm. I worked on a number of government panels including the Solar Flagships and Renewable Energy Demonstration Projects. I also undertook many assignments in the clean tech industry including, water treatment technology, solar, biofuels, aquaculture, and smart meters. Types of projects included business planning and commercialisation advice. I have also spent seven years working as a project manager on infrastructure installations for a large dairy company specialising in waste water treatment systems and major capital upgrades. I have a bachelor’s degree with honours in Chemical Engineering & Science (Chemistry) as well as a Graduate Diploma in Applied Science from Melbourne University. I also hold an MBA from the Melbourne Business School. Over the last three years, Jacob has worked as a technical analyst for R&D grants, working with a wide range of Australian and international companies. Having completed and assisted with over 200 successful applications for the R&D Tax Incentive, Jacob has worked on projects across IT, engineering, and scientific disciplines to ensure their eligible offset. Most notably, Jacob has worked with Black Magic, Cook Medical, Aquatech Water Purification, Samumed, and a range of other international companies, having established and proven a fundamental understanding of R&D and grant analytics. Jacob also edited a journal outlining R&D substantiation for US grants. Jacob has a BFA in Creative and Professional Writing, majoring in Literature. Over the past four years, Dr Tim Charlton has completed the technical draft and expenditure analysis of over 90 registered R&D Tax Incentive applications for businesses in the engineering, defence, software, medical, and financial sectors. He has 25 years’ experience across academic, corporate, and consulting roles covering R&D design in the development and commercialisation of anti-foul coatings and biosecurity for aquatic environments. Publications include three registered patents and 22 papers in peer-reviewed science journals. Tim’s key strengths are interpersonal and consulting skills, conceptual thinking, research and analytics, and report preparation. Tim has a PhD in Microbiology from the University of New South Wales. Linette has more than 20 years business development experience assisting SMEs across a diverse range of industry sectors including ICT/Services, Health Services, Sustainability, Manufacturing, Agribusiness and Transport. Previously, Linette worked with Pyksis, a boutique technology commercialisation company with offices in Melbourne and Sydney. During this time Linette managed and delivered a number of programs including the Regional Technology Commercialisation Program and Mentoring for Commercialisation Funding Program (MCFP). Prior to joining Pyksis, Linette managed one of the Victorian Government’s regional Business Centres assisting regional companies to gain access to various grants and business development opportunities for expansion and growth. Linette has a Bachelor Degree in Business Management and Psychology and a MBA from the University of Ballarat. Katrina Tehan has over 15 years’ experience in project management, primarily in a local government and regional development context. She has worked with a diverse range of industries including manufacturing, agribusiness, education, retail, and tourism. Katrina brings energy and business management experience to the projects she facilitates. She has been involved in business mentoring, economic development and tourism, infrastructure investment, marketing, finance, community development and the outdoor leadership sectors. As Economic and Tourism Manager with the Shire of Campaspe from 2004-2009 Katrina was instrumental in winning over $4 million for Council’s industrial precinct developments in Echuca, Kyabram and Rochester. Since 2010, Katrina has focused on writing funding applications and preparing tenders for business, community, local government and non-profit organisations across Australia. A graduate of the Fairley Leadership Program in 2006, Katrina is passionate about regional Australian economies, its people, community and its prosperity. This coupled with the deep desire to help others achieve their dreams, as well as practical and academic experience has resulted in a strong track record of success.